The Beach Club Resort & Spa is more than just a place to stay, it’s an entire resort experience. 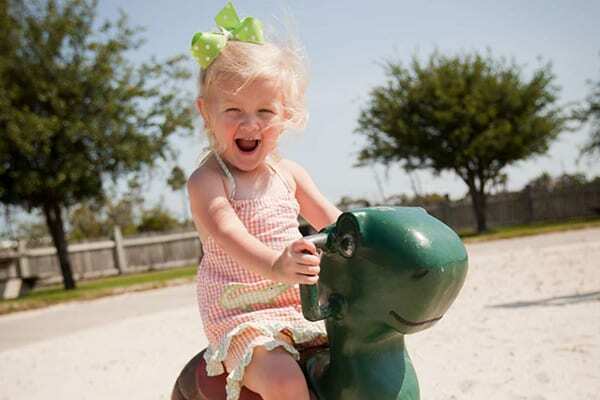 Our Resort has been rated a top 10 US Family Beach Resort since 2016, and Spectrum is proud to be the exclusive owner and operator of the Beach Club’s activities and amenities. 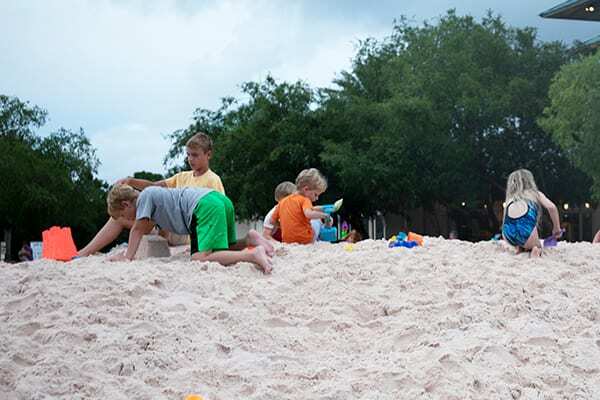 Families love The Beach Club because of our private and secluded beach that spans the length of five football fields. From building sandcastles by day to crab hunting at night, here the sand and the surf are all you need for a great time. Adventure seekers will not have to look far for fun and relaxation along our sugar shores. Waters Sports such as jet ski rentals, parasailing, and more are available on-site at The Beach Club. 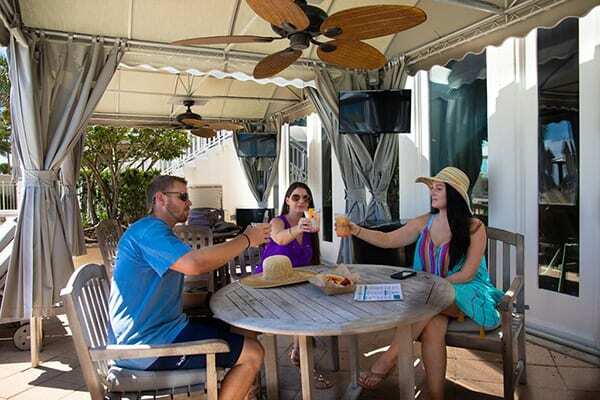 For those looking to relax in the sun, beach chair rentals are available as well, and, as part of the Spectrum Experience, Spectrum Resorts guests are able to reserve beach chairs in advance and receive priority beach chair seating. Eight lighted Rubico clay tennis courts are available, giving you the option to enjoy a spirited match or just a casual game with your family, day or night. 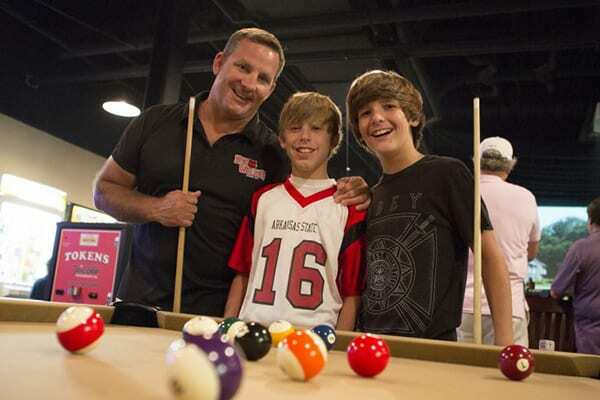 Enjoy a game of billiards or try your luck at the claw machine. Have a virtual motorcycle race against your friends or save the future from evil cyborgs. 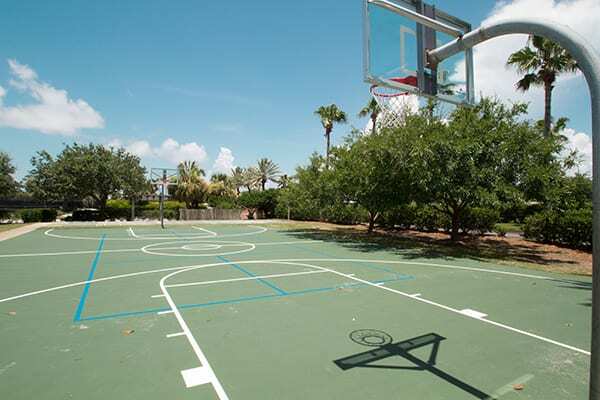 Whether you join in a game of kickball or have a family volleyball tournament, Sand Island is the perfect location for a fun family outing. 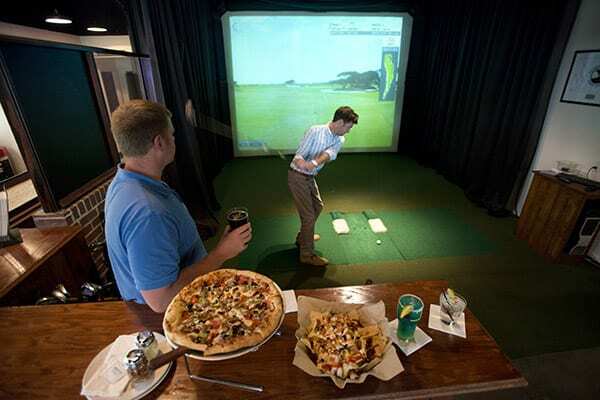 Play the courses you’ve always dreamed of playing on our state of the art HD golf simulator. Here, the natural beauty is all around you. 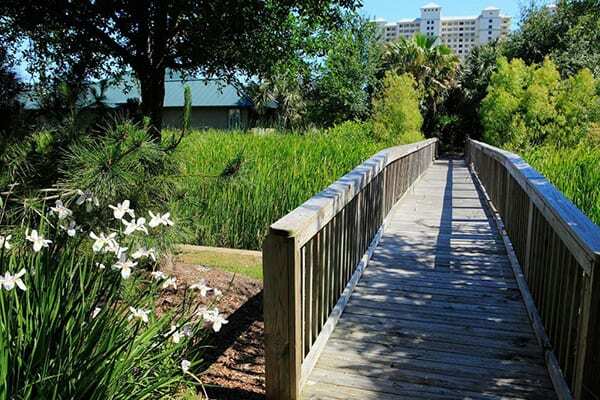 Get some fresh air and exercise while jogging or strolling down our scenic walking trails. 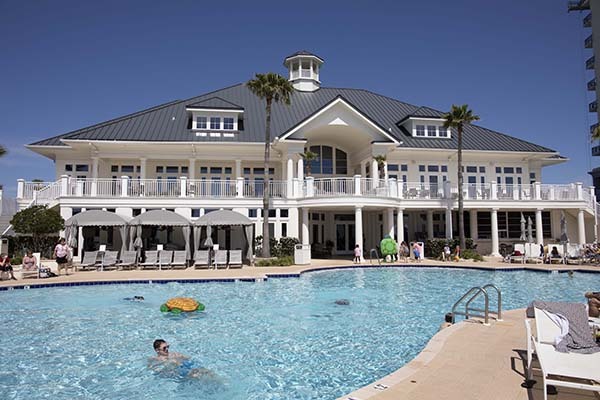 Location of the Spa and Salon, Coast Restaurant, DVD rentals, fitness center, game room, heated indoor pool, outdoor pool, steam rooms, locker rooms, and the Gulfside Bar & Grill. 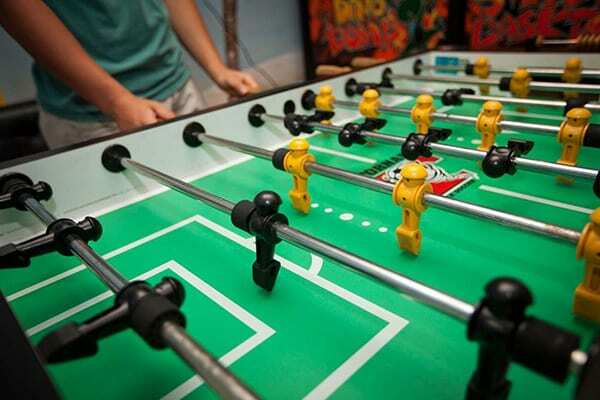 Here you can be a kid again with your kids and indulge in your competitive nature. 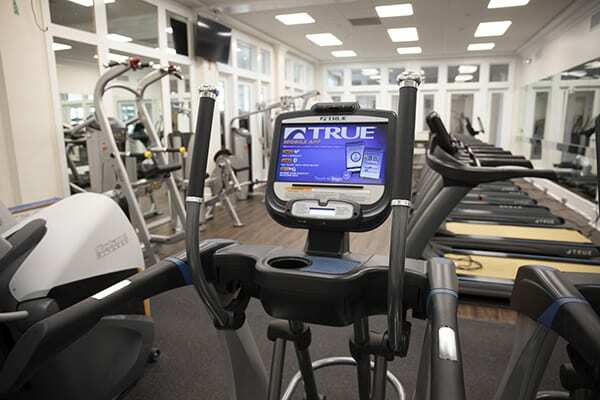 Our fitness center offers a variety of cardiovascular and strength-training options. 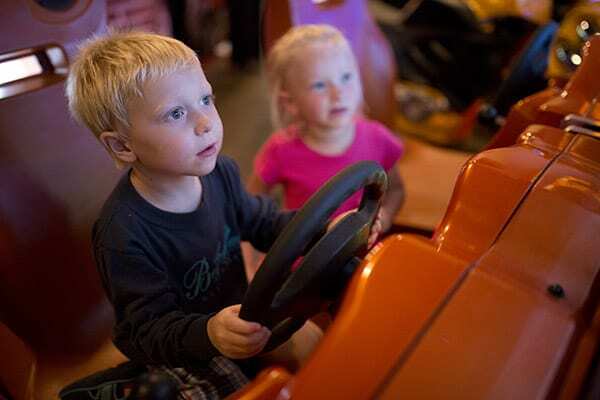 Bringing the extended family or just little ones? Cabanas are a great way to keep the family together for those long days at the pool. Do I have access to the sister properties amenities when staying at The Beach Club or Turquoise Place? Use of amenities between properties are not available. Do we have taxi service from airports or in to town? Spectrum Resorts does not provide taxi services, however, our Front Desk is always happy to recommend a few different companies in the area. How often does the Tram run? The Tram runs from The Clubhouse to The Village Lawn seasonally. The Tram runs every 10 to 15 minutes in a loop around property.